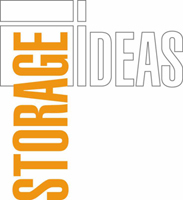 Emrack is a leading provider of industrial storage and racking equipment. The company's range of solutions include selective pallet racking, cantilever racking, document storage systems, steel fabricated solutions, raised storage areas and other dynamic storage solutions. Emrack also provides custom solutions based on the client's requirements. The company offers a 20 year warrant on its racking products and works with industry professionals globally to ensure that its solutions are tested and certified based on required Australian standards including AS4084-2012 and ISO 9001 quality assurance standards.